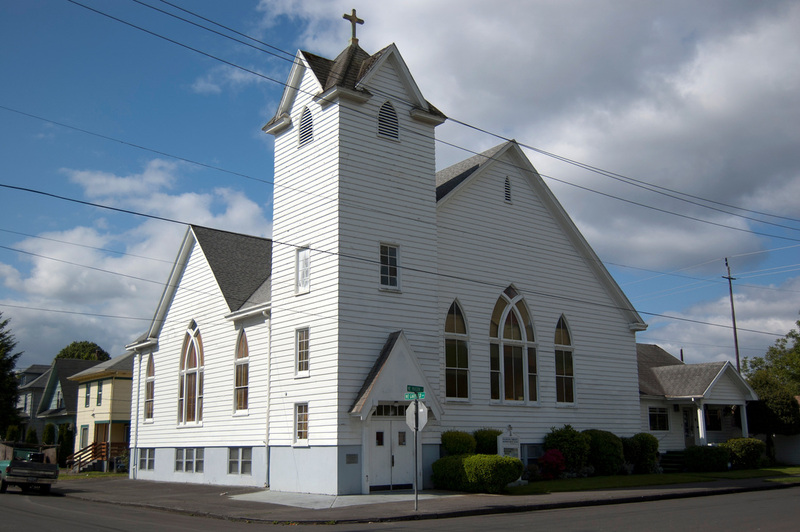 This page is a collection of stories and photos that highlight the history of the German Evangelical Congregational Brethren Church in Portland. Click on the photos to see larger images. Congregational Evangelical Brethren Conference held in Portland on May 18, 1930. The photo includes many of the prominent pastors of the Oregon and Washington Congregational Churches. Among those who are seated in the front row are: Rev. Hagelganz, Rev. Kalmbach, Rev. Hopp and Rev. Wagner. 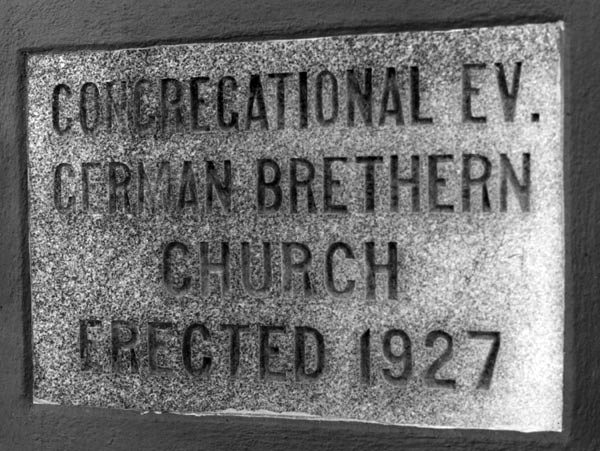 German Evangelical Congregational Brethren Church Cornerstone. Former German Evangelical Congregational Brethren Church in 2010. Photo courtesy of Steve Schreiber. 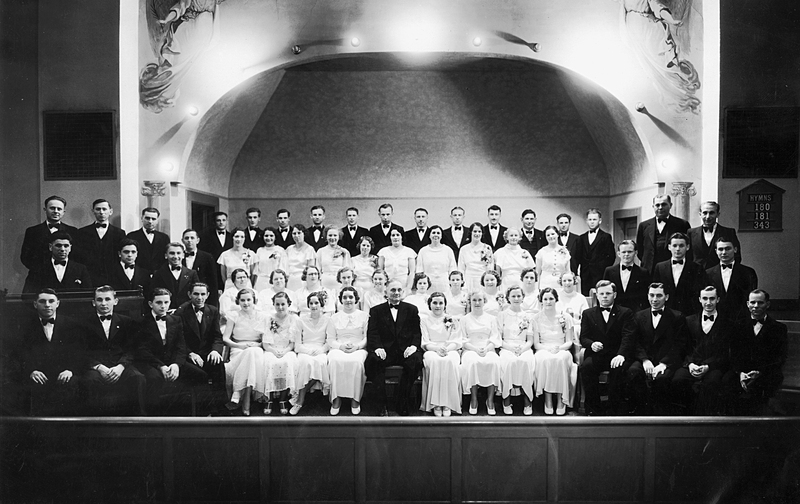 German Brethren Church Choir 1935. Reverend Richard Schmalle (interim Pastor for 5 months). Photograph courtesy of Marie Krieger. 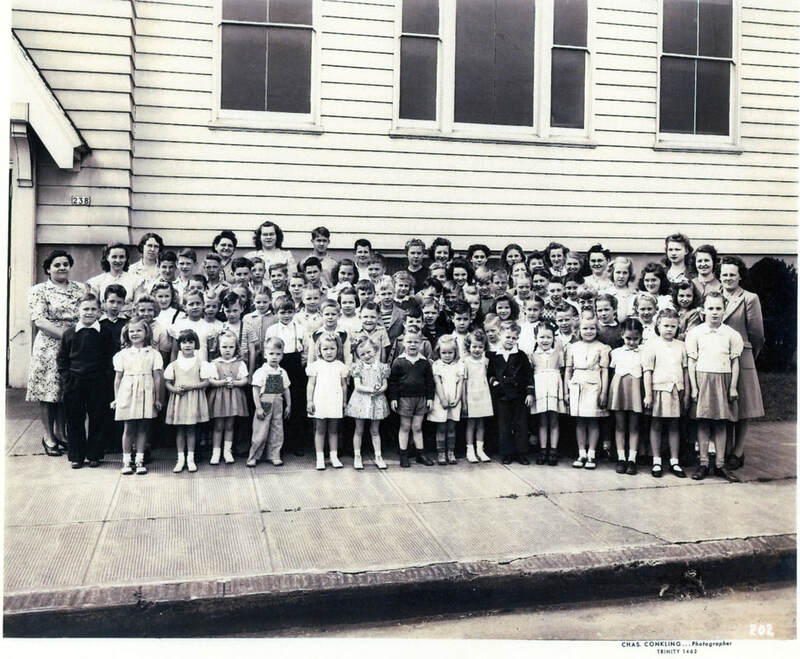 German Brethren Church Sunday School or Vacation Bible School Class. Courtesy of Harold Kammerzell. 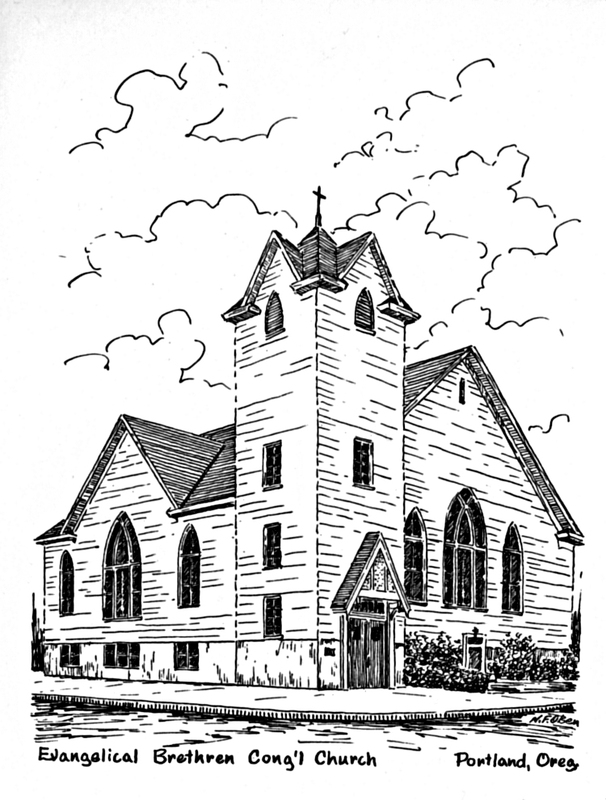 Drawing of the German Evangelical Brethren Congregational Church. Last updated November 10, 2018.